October 23, 2014 November 30, 2015 - 2 Comments. 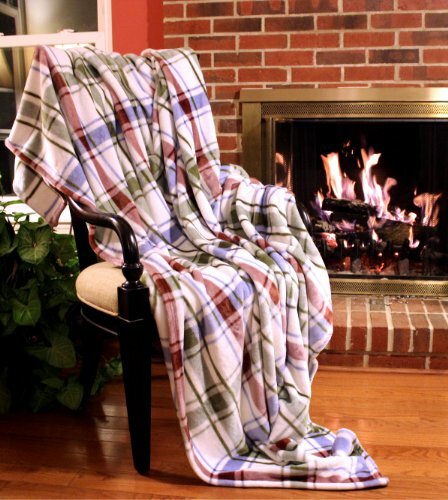 Not only do throw blankets warm up your Fall home decor, but they keep us warm and toasty too! The temperatures are tumbling and soon it’ll be time for a cozy fire, some warm Fall throw blankets and a good snuggle with someone you love. Be ready for it by adding throw blankets into your Fall decorating. 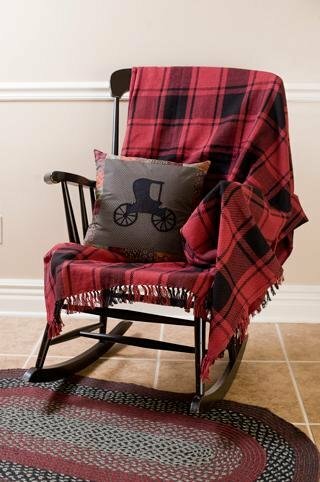 Here are a few Fall decorating ideas that incorporate throw blankets. Since the weather hasn’t turned bitter cold quite yet, a lightweight throw is super cozy and makes a great companion while you watch TV or sit outside on cool Fall nights. Cozying up with a soft, warm throw blanket is one of those great pleasures in the Autumn. I don’t have a fireplace, but I wish I did. I love the scent of firewood in the Fall air when our neighbor lights theirs up. Imagine a good book or movie, a nice warm blanket and a toasty, crackly fire. Mmmm…it makes me dreamy-sleepy just thinking about it. Drape your Fall throw blankets across the back of the sofa like mom and grandma did, or fold them neatly over the arms of your chairs. 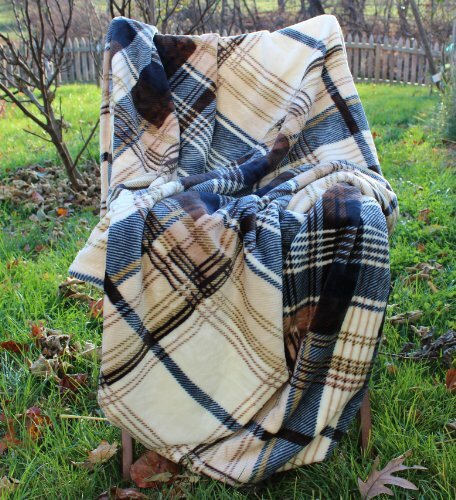 This way, your throw blankets will be ready to warm you up when it turns chilly outside. Especially enjoy the warm, earthy colors of Autumn blended into your existing decor. Fall colors like deep green, burnt orange, mustard yellow and various shades of brown are fabulous for your Fall decorating. 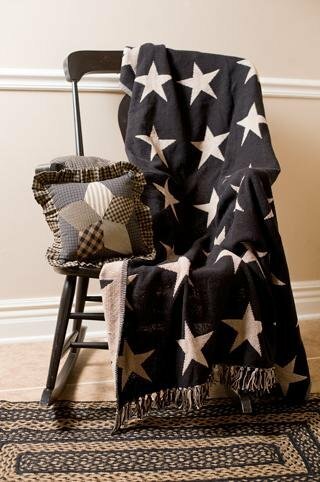 When you think about your Fall decor, remember that throw blankets not only look good but can also be put to good use. Not only will they add that splash of color I mentioned above, but your Fall throw blankets also add texture to your decor. Be sure to learn a few simple folding or draping techniques to helps you display your favorite throws with a designer look. 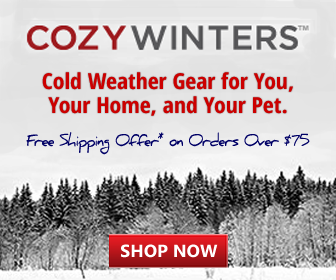 Choose fabrics that will provide the amount of warmth that’s comfortable for you. For some of us, cotton throw blankets are still warm enough to get us through Fall. For others, polyester & fleece blankets are just right. If Fall is actually pretty chilly where you are, then wool blankets are perfect choices for you. Enjoy your warm Fall blanket in the best of health! 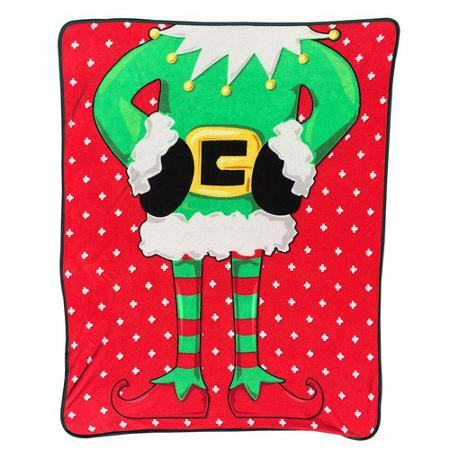 Come back soon to see more of our huge selection of throw blankets for fun, warmth and decorating. HAND CROCHETED AFGHAN SHADES OF FALL! 73” X 42” VERY WARM AND COZY! These are really pretty. We keep a couple throws in our family room year round as it tends to get chilly. There is nothing like watching TV under a snuggly blanket. They also look pretty folded up and tossed over the back of the couch!